Ola, one of India's most popular cab-hailing service has raised $50 million at a valuation of $4.3 billion from Hong Kong-based Sailing Capital and the China-Eurasian Economic Cooperation Fund (CEECF) as part of the cab service's attempt to raise fresh funds. CEECF, a state-backed investment fund of China and Sailing Capital will hold a combined stake of more than 1% in Ola. The company's valuation has increased since its previous fund-raise as shown in the regulatory documents filed by Ola with the Ministry of Corporate Affairs that was sourced by business intelligence platform Paper.vc. Ola's latest round of funding from the two Chinese investment firms comes when the company is eyeing expansion across India and abroad. In October last year, the company run by ANI Technologies Pvt Ltd raised $1.1 billion in fresh funds at a valuation of $3.4-4 billion from China's Tencent Holding Ltd and Japanese investor SoftBank Group Corp. It is then that Ola had indicated that it is in talks to raise another $1 billion. The company is also expected to raise funds over the next few months from Singapore's Temasek that already bought secondary shares in Ola, as mentioned in a report in Mint. 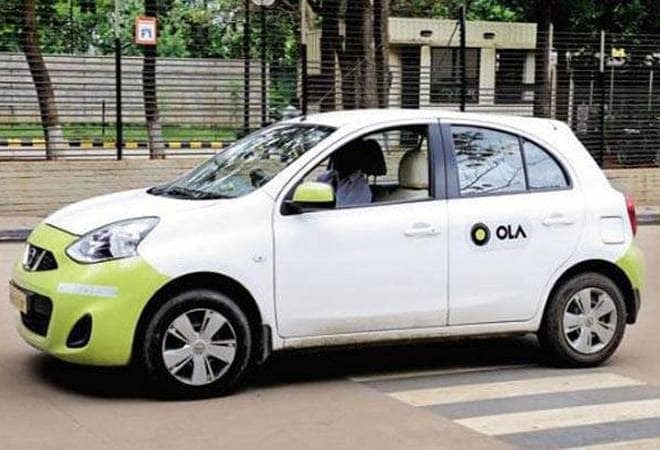 According to multiple reports, Ola is looking for money from new investors as it seeks to reduce the power of its largest investor SoftBank that owns more than 25% stake in the company. Last year, Ola's co-founder and CEO Bhavish Aggarwal was embroiled in a boardroom tussle and stopped SoftBank Chairman Masayoshi Son from buying part of Tiger Global Management's stake in the company. Most importantly, Ola needs the capital to take on its arch rival Uber who are also backed by SoftBank. Ola is also foraying into the food-tech business and will be competing with Uber on all fronts, along with food-tech giants Swiggy and Zomato.